Based right here in the heart of Keswick we are perfectly positioned to respond quickly to all your plumbing needs. 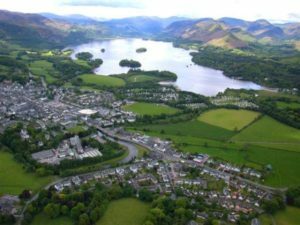 Given that we are based in the centre of Keswick we can usually be with you within a matter of minutes to fix your plumbing problem. Call Keswick Emergency Plumbers for a fast, speedy 24 hour service now! decorating. Sorted out that day and a happy customer. Called out to an urgent leak in Uldale during the hot July weather. Cumbria Emergency Plumbers fixed the leak within 2 hours of call and visit. Call to Limepots Road in Keswick to fix a toilet that would not flush. Cumbria Emergency Plumbers sorted it within the hour of visiting. Another happy customer. Call out to a burst pipe in a radiator on St Johns Street Keswick. We drove to Thornthwaite to fix an ongoing leak in a sink which was sorted in the hour. A customer on Helvellyn Street, Keswick, called with a leaky toilet which we fixed straightaway within 2 hours of them calling so satisfied customer. Cumbria Emergency Plumbers had a call from Calvert Way in Keswick to come out and fit an outside tap. Our plumber attended a job on Vicarage Hill in Keswick to sort out a leaky toilet within 2 hours of the call. We got a call from a lady on Rose Terrace to come and fix a faulty toilet at a holiday cottage in Keswick so needed it done urgently as guests were due. Cumbria Emergency Plumbers attended a leak in a radiator at Brandlehow Crescent, Keswick during the hot season. A customer on Helvellyn Street in Keswick had an ongoing problem with a dripping tap which we sorted for them. A customer living at Glendramackin Terrace in Threlkeld, Keswick had a wash basin and taps replaced. 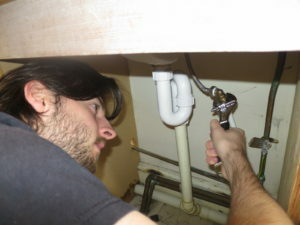 A leaking tap was fixed at Brackenrigg Drive, Keswick. A leak in a pipe in the bathroom was fixed at Castlehead Close in Keswick. A busy guest house on Eskin Street had a sink that needed work on it in a guest room in Keswick. Worked on it that same day and was ready for guests arriving that day.